Forget RoboCop, Here Comes RoboCroc! A movie about a crocodile transformed into a metallic, man-eating war machine is in the works. Of course it’s a new Syfy movie! Who else these days would make a movie about a mutant half-robot/half-reptile? The future of nature gone amok is on its way, and its name is RoboCroc! UFO International Productions is the company behind RoboCroc. If you follow Syfy Original Movies. you’ve probably already seen a couple of their more recent titles: Triassic Attack, True Bloodthirst, Black Forest, and The Boogeyman. 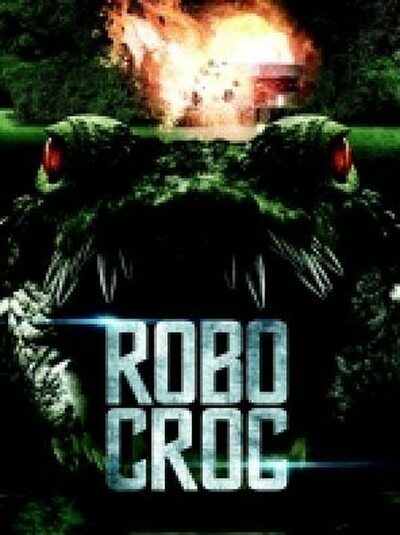 RoboCroc is currently in pre-production; there are no stars or director attached at this time. There is, however, a synopsis – a synopsis that pretty much spoils the entire movie before it’s even been made. For those of you who don’t actually want to wait a year or two for RoboCroc to become a reality, you can always just read the three-paragraph synopsis UFO has posted online that lays out the entire movie from beginning to end. Consider this your spoiler warning. I’m just not sure you can really spoil a movie about a nanotech-spawned crocodile – that visual is what the film is really all about. When a top-secret unmanned spacecraft disintegrates on re-entry, its mysterious military payload crash-lands in the crocodile habitat of a place called Adventure Land, a combination water park, amusement land and world famous crocodile exhibit. Following its pre-programmed instructions, the payload – a next-generation nanotech-based combat drone – finds a host in the form of the park’s prize twenty-foot Australian Saltwater crocodile, Stella. She is the largest Saltwater croc in captivity. Immediately upon infecting its host, the drone payload’s nanobots begin to transform Stella from an organic, living creature into a lethal killing machine with only a single directive: Survival! Before Chief Zoo Keeper Tim Duffy and reptile biologist Jane Spencer are able to figure out what’s going on, they find the park taken over by the government team responsible for the secret project. As the crocodile continues to transform, it escapes the crocodile exhibit and enters the water park, running amok, killing dozens of patrons. The park is evacuated, but a handful of teens are trapped behind – including among them, Duffy’s estranged son. Duffy and Jane set out to rescue Duffy’s son while the government team and military personnel scramble to stop the rapidly evolving croc but nothing works. After their best efforts fail, the now fully-evolved ROBOCROC escapes the park and rampages further forcing a massive military deployment to stop it. Still following its prime directive: RoboCroc enters the city sewer system. With time running out, only Duffy has the knowledge and experience that will allow him to get close enough to the croc to destroy it. In a desperate gambit, Duffy enters the sewer system armed with his knowledge of crocodile behavior and a tactical Electromagnetic Pulse Generator. Finally, after a terrifying confrontation in the bowels of the city and with his own life on the line, Duffy detonates the EMP and destroys RoboCroc and the nanobots once and for all. Mechanize the swamp in the comments section below!